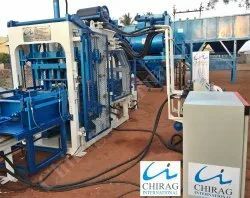 Leading Exporter of automatic block making machine, hydraulic block machine, chirag multi raw material block machines, chirag fully automatic block machines, chirag semi automatic block making machines and chirag modern automatic block making machines from Coimbatore. 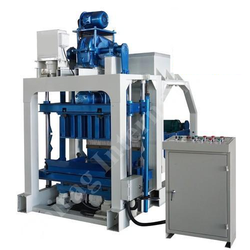 We take pride ourselves in offering a wide range of Hydraulic Block MakingMachineto our clients. Our range is immensely used for making blocks for construction purposes. These are well known for its features like sturdy construction, durable finish, easy operations and low maintenance. Chirag Fully Automatic Block Machines We are engaged in offering a wide range of Automatic Interlocking Block Making Machine. This machine is Multifunctional, Could make all kinds of Blocks, Bricks and Pavers while change the moulds. Simple structure; small occupying area; stable and reliable function and convenient maintaining; Simple manual operation enables the workers to learn fast; This machine combines many functions into one with low consumption. It is adopting with multi-valves in series, electricity discharging unit and compressing and vibrating organic combing unit to materialize the highest molding and density of the finished products.Chirag Fully Automatic Block Machines Auto pallets conveying, pallets feeding and compulsive materials arranging have highly raised up the production efficiency and reduced the working intensity, while simple pallet conveying and feeding units can be installed for production. 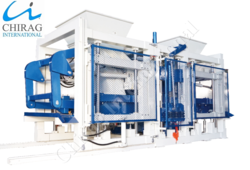 Chirag Brand New Automatic Block Making Machine Target User: requires high production output of concrete blocks, in different types, sizes, shapes and colours. 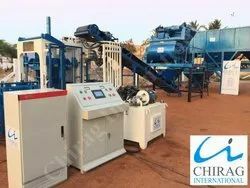 Chirag Brand New Automatic Block Making Machine Raw Materials: crushed stone, sand, cement, lime, flyash, cinder, slag, gangue, gravel, perlite, and other industrial wastes. 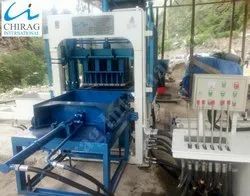 Chirag Eco Friendly Automatic Block Making Machine Moreover, our products are competitively priced for easy affordability to our precious clients. This model has been applied for the patent protected by state laws, counterfeiting is not allowed (Patent No.201220242625.7). Looking for “Automatic Block Making Machine”?